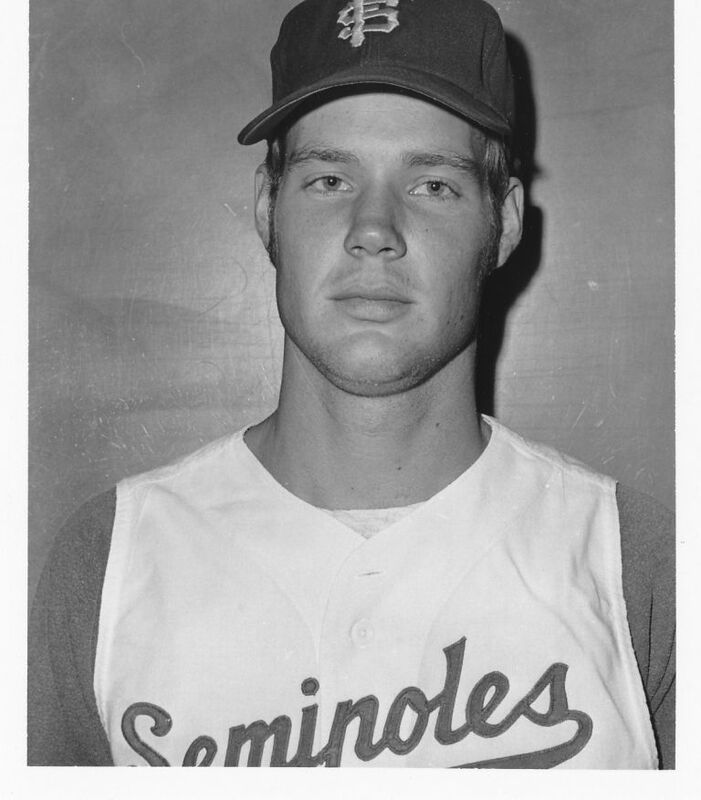 In 1970 and 1971, a tall, lefthander came out of the bullpen to make his mark as Florida State’s greatest relief pitcher and one of the finest in NCAA history. Mac Scarce was a vital force on the 1970 FSU team that advanced to the national title game at the College World Series. His brilliant seven innings of relief in the NCAA finals stands as one the finest moments in Seminole baseball history. Scarce had 30 saves over his two seasons and 18 in 1971 alone, which were both NCAA career and season records. He gave up only 13 hits in 33 relief innings in 1970, a school record. Mac was co-captain of the 1971 Seminoles. He went on to pitch for the Phillies and Mets.